Breaking the fourth wall in games, the evolution of the genre from postmodern to modern | Callie Co.
Postmodernism is a complicated kettle of fish to look into, the definition itself is both strict and uncomfortably vague in what it may cover. The simplest and most commonly used definition is this case is "incredulity towards metanarratives" (Lyotard, 1984) where metanarratives are considered the norms of the genre, style and medium in which the narrative takes place. But this then gets even worse, because postmodernist texts are not forever postmodernist texts. Take for example The Simpsons, a series which when it arrived was a fresh look at satire, irony and culture commentary. At the time of its release it was the only real text that addressed these various aspects while using popular postmodernism techniques such as pastiche and irony. However, given time this style of text has become a dominant genre features shows such as Family Guy, Bob's Burgers and the like, meaning that this text in the modern day is considered a modernist text. "A work can become modern only if it is first postmodern. Postmodernism thus understood is not modernism at its end but in the nascent state, and this state is constant." (Lyotard, 1984). So, to look at postmodernism in video games we have to look at the history of various ideas, narratives and genres that have emerged from the culture of games and how they influenced the culture in general. In particular I'll be looking at the evolution of the self aware genre, and how while postmodernism is often (mis)defined as a text which is self-aware, full of meta narrative and wall breaking, this style (at least in the video game medium) has become a modern text. Minor spoiler warnings for the games ahead. As action games evolved they began to build a heavy wall between the player and the game interactions, the player was essentially tasked with inhabiting the character and helping them achieve their narrative goal, but they were an external force. Mechanics were taught in a natural way or were given in simple text on a help screen, outside of the games narrative. Realism was the key here, the creators wanted to tell a narrative they wanted you to experience and in no way was the player to think about the fact that this was a game. Then Metal Gear Solid came along. The creators seemed to shrug off this convention, with the first game in the series having people call you and specifically mention the buttons that you were meant to press by their name. Bosses asked you to put your controller on the ground, would read your memory card and comment on the games you played. Now this convention has gone on to be a large part of a genre that has evolved around breaking the fourth wall, but MGS continued to push expectations. As the games progressed, the writers starting breaking not only the conventions of the genre and medium they worked in but also the conventions of their own series. 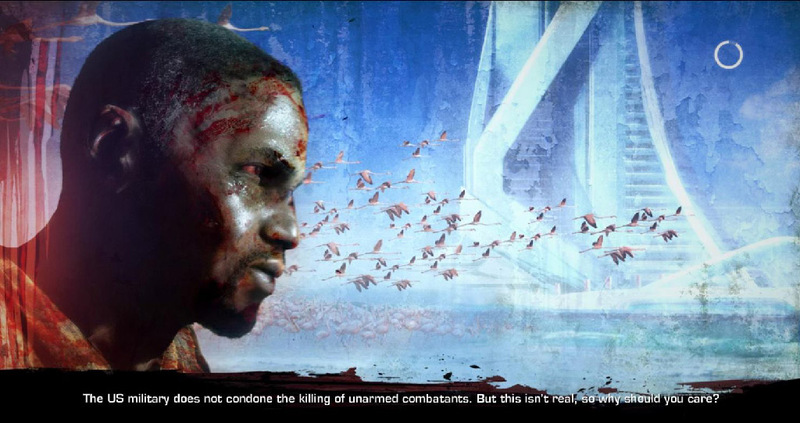 At the end of the first game if you were methodical in your approaches, you would be awarded a bandana which granted you infinite ammo, and they refer to these actual 'secret bonuses' within the narrative of the game itself. It's important to note that this use of fourth wall breaking was such a spectacle (being a new idea, breaking the conventions that existed before) that it almost overwhelmed the player's memory of the game. If you were to ask someone who had played MGS what their most solid memory of the game was they would almost undoubtably talk about Psycho Mantis reading their memory card and moving the control. This style of narrative didn't really evolve past here for some time, with it becoming such a popular trope that added no real value to the game. Numerous games added in references to pop culture in a satirical way that articles were appearing on forums and gaming websites complaining about breaking the fourth wall for no real narrative reason that the it became a modern trope. While MGS used the wall breaking narrative in order to simple break conventions, other mediums had jumped on board. TV shows such as Malcolm in the Middle, The Office, 30 Rock and Community were using this technique in order to further notes of satire and irony within the show's premise, but games had not really explored the depth of this technique. 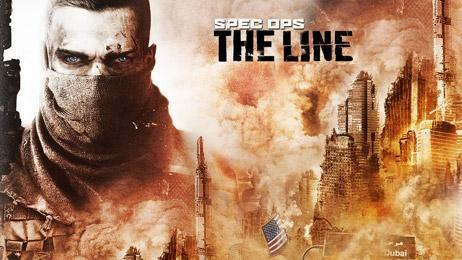 Then Spec Ops: The Line appeared to use this now trope within the medium in order to build new meanings and readings within the genre. 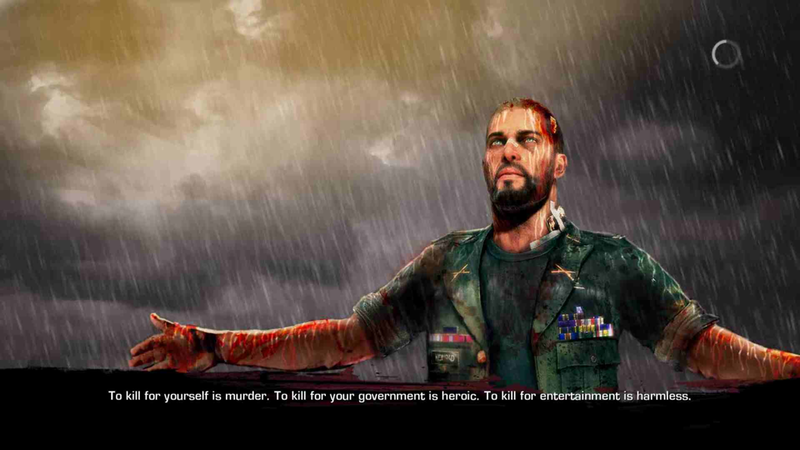 Spec Ops painted itself into the military shooter genre, a genre known to have almost mindless shooting, focusing on a clear distinction between the good and evil, but subverted the genre in a very clear way, not just to blur this distinction but also to comment on the player's actions. Through this we saw the first step towards this postmodernist take on interaction within gameplay becoming a modernist text style, although once again the message of the game, the bluring of lines between good and evil was for a lot of players lost in memory next to the way the game communicated to the player directly. Around this time the independent gaming community began to flourish, allowing texts which sat outside of mass produced culture to flourish, which led to new ideas and genres to really start to appear. 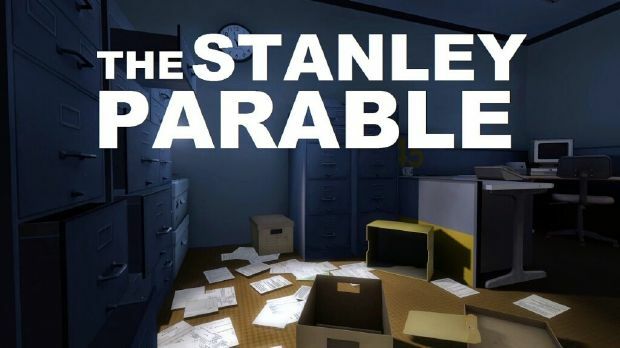 The Stanley parable once again took this genre of wall breaking to make a comment on the player behind the controller, with narration suggesting the course of action and commenting on the player's choices as they go through. This comment on the idea of interactive narrative and player choice being almost a diametrically opposed idea was something that could have only existed from this narrative style. This game could not have existed without the breaking of the fourth wall, and this is the aspect of the game most players remember most. This style of breaking the fourth wall for a narrative or commentary reason was shocking at first, garnering critical feedback from players and journalists for the past six years to the point that games that used this convention no longer were praised for the postmodern aspects of the game, but it was just part of the genre. DDLC is in many ways a postmodern text, breaking the conventions of the visual novel genre, but its important to note that it also belongs to the genre of wall breaking for narratives sake. The characters in the game are self aware of their existence inside the game, and altering the files within the game itself messes with the narrative of the game (to the point it's required to progress the story). This wall breaking however for almost the first time is not the forefront of the players mind, this aspect of this genre is no longer something that is the most commented on aspect of the game, players were no longer distracted by the spectacle of the fourth wall breaking but instead the narrative itself. So how does this change in the culture indicate a move from postmodern to modern? The idea of these genres is to create a formula that helps the audience achieve the state of relaxation. This familiar tropes allow the players of the game to live a collective fantasy, to know that of course there is going to be a happy or unhappy ending as that is what is expected (Bertens and Fokkema, 1997). When MGS or Spec Ops came out there was a furor over these breaking of expectations, yet at the point of DDLC the fourth wall breaking genre was such a modernist trend that this aspect of it was seen as novel and no longer an example of this expectation breaking (although DDLC is expectation breaking in its own ways, it was not the use of this genre that did it, but in fact another genre it belonged to). That is not to say that this move from postmodern to modern has diminished the readings and possible narratives that can come from such genre, DDLC could have never had the impact it had if it didn't have this genre to use in the way it did. It's through this now modern narrative that new writers can now expand the way they approach the narrative of this interactive medium, and create new stories that before would have been overlooked by the spectacle that is tied to a postmodern work. Bertens, H., & Fokkema, D. W. (Eds.). (1997). International postmodernism: theory and literary practice. John Benjamins Publishing. Lyotard, J. F. (1984). The postmodern condition: A report on knowledge (Vol. 10). U of Minnesota Press.